What is the Compex Sport? Gain muscle volume, improve your endurance and boost your training routine. The Compex Sport and its specific programs allow you to increase strength and speed, develop your muscle volume, improve your endurance, relieve your pain and recover faster. 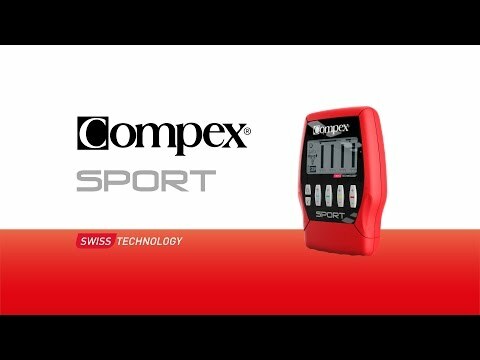 Compex Sport Muscle Stimulator - Home Fitness & Rehab Recovery, Muscle Toning and Growth is in stock and available for immediate dispatch from our Warehouse facility in Lancashire, UK. Orders placed by 4pm Monday to Friday (excluding Bank Holidays) are dispatched the same day. If you need your Compex Sport Muscle Stimulator - Home Fitness & Rehab Recovery, Muscle Toning and Growth in a hurry, next working day delivery is available for UK mainland addresses.